Cardiff City boss Dave Jones is convinced his side’s poor form will come to an end sooner rather than later – and stop the speculation about his future. The Bluebrids face a tough task against Leeds United this evening though, and are 11/10 to complete the league double over Simon Grayson’s side after beating them 4-0 at Elland Road earlier in the season. 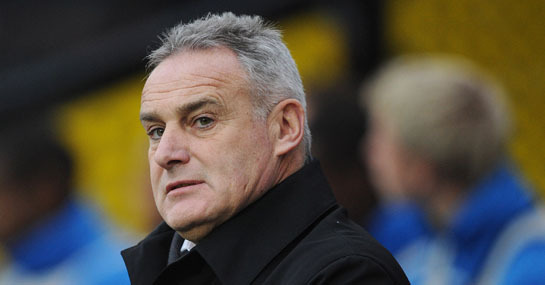 Despite Cardiff’s dreadful run that has seen them slip to fifth in the league – one place behind Leeds – Jones has rubbished reports he is under pressure. He said: “Even though I’m getting all the flack which I can never stop, I’ll have to fight it and get on with it. I have quite broad shoulders and they have to be with the job I am in. They will have a tough task turning it around against a Leeds side who are 12 games without defeat in the league and seven without loss on the road. However, the Yorkshire side have drawn their last three matches and have only kept two clean sheets in their last 17 league games. Cardiff should welcome back England international Jay Bothroyd from injury this evening and he should give the Leeds back line another torrid time after scoring twice in their 4-0 October win. With Cardiff only keeping two clean sheets in 15 games, this should be a high scoring affair. Backing the game to finish 2-2 at 14/1 could yield a very tidy profit. A £10 bet on Cardiff and Leeds to draw 3-3 pays out £500! New Ladbrokes customers can sign up here for a free £10 bet.